Maramag, Bukidnon. 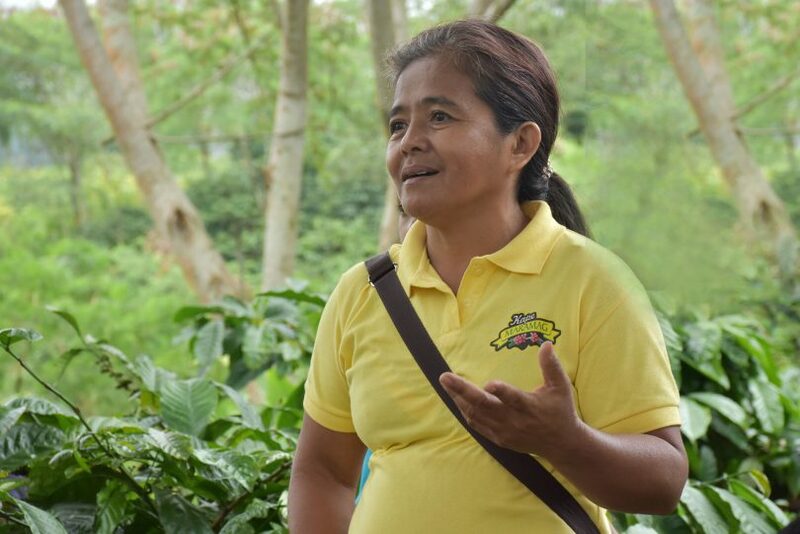 A petite woman with nimble feet, that’s how some people see Lilibeth Puerto Galendez, 49, this empowered woman of the Rural Improvement Club (RIC) Kape Maramag, Inc. as she energetically guided a number of guests among coffee producers from other regions. 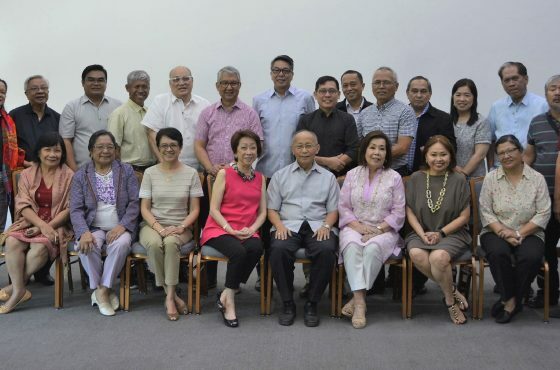 It could be this trait that has endeared her among her peers in the only women’s organization that has set Kape Maramag above the rest among coffee-producers in this region. Being the second highest official of Kape Maramag women’s organization, Ms. Galendez knew by heart the beginnings of their organization and how, since 2012, their members have been reaping not only sure income from the bountiful harvests but also some kind of assurance for their community to continue producing the now-known coffee branding Kape Maramag. One of Ms. Galendez’ painstaking contributions to the development of Kape Maramag is her untiring advocacy among coffee farmers, encouraging them to upgrade their approaches in coffee farming. In 2015, she related that the Department of Agriculture, in collaboration with Nestle Corporation, provided a budget for training of Coffee farmers in the Region. She was one of the lecturers/facilitators of the School on Air that was aired on a radio station. “Bahandi”, an Agricultural Training Institute launched a capacity building on June 2015 involving 700 farmers in Maramag and Bukidnon areas that run up to three months. For 30 minutes, from 6:00 up to 6:30 in the morning three times a week, the farmers listened to radio station DXMU-FM with dial 88.9 for their day’s lesson. The 18 modules covered in this one of a kind training helped encourage and inspire coffee markers to the point that many of them have succeeded to improve the yields of their coffee farms, and became showcases for other coffee farmers from other regions to see. Among the things taught on-air include technical knowhow on Rejuvenation and Pruning processes that later produce more bountiful harvests for the farmers and ease in the harvesting process. In this process, the coffee plant which usually grows three meters high would instead grow up to three to four feet in height. Showing some pictures of her own farm, Ms. Galendez enthusiastically shared that she also grew not only coffee but other plants and vegetables as well in between coffee “hills” or trees, which have sustained the family’s daily needs. She has been engaged in diversified farming including raising hogs and other farm animals such as ducks and chicken that not only answers the day to day nutrition needs of her family but which she also sells when these are in abundance. Few years back, the coffee industry in Maramag was almost dying after coffee farmers could not even sell their produce to local traders. Ms. Galendez related that they were almost giving up, and then their coffee farms were given a perk. Considered a milestone for the Department of Agriculture-High Value Crops Development Program (DA-HVCDP), in 2012, it established a coffee roasting facility in the municipality through the Rural Improvement Club (RIC) Federation of Maramag, the mother organization of Kape Maramag that was part of its initiative in reviving the coffee industry in the region. The facility contained a coffee roasting system, commercial grade coffee grinder, foot sealer, cutter, weighing scale and foil for packaging, which was granted by the DA-HVCDP to the RICFM in collaboration with Kaanib Foundation. Initially, the Federation was composed of 1,050 members most of whom have been engaged into coffee farming and production of other agricultural crops from the 20 barangays in the municipality. Ms. Galendez and other officers of the federation also went through a Training of Trainers on Coffee Production initiated by the Agricultural Training Institute (ATI) and even became one of the Philippine delegates to the Association of South East Asian Nations (ASEAN) Training Course on Intensive Cultivation Technique of Coffee held in Thu Dau Mot City, Binh Duong, Vietnam sometime in 2013. Thus, with the brand name “Kape Maramag”, the Federation started their business operations on coffee roasting, grinding and brewing in April 2012 with only a hundred kilograms of coffee beans, said Ms. Galendez. By September 2013, the facility had already processed a total of 1,271.10 kilograms coffee beans. Hence, with only a starting capital of P11,500, Kape Maramag had grossed a total of P297,039.90 in the same year. It was said that the coffee blends they were producing sold at P350 per kilogram, while its 250, 100 and 50-gram packs have been sold at P125, P55, and P27, respectively up until at present. Kape Maramag has been following the prevailing market price in purchasing coffee beans for their coffee roasting operations. 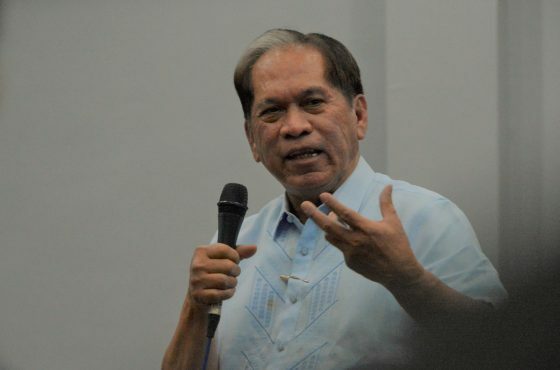 Moreover, to encourage federation members to deliver high-quality beans, management has offered an incentive program of P5 per kilo of high-quality coffee beans delivered. It has been said that local traders are paying higher for each kilo of coffee at P50 to 60, as against the price being offered by Kape Maramag. However, some local traders and multinationals like Nestle, only buy in bulk and not in small quantity to get a higher price. Thus, farmers who have smaller volumes to sell have since delivered their coffee beans to Kape Maramag especially during offseason. Kape Maramag roasts an averaged 30-50 kilograms of coffee per week to ensure that their products sold in the market are fresh. Its kiosk that is located at the municipal bus station which was funded by the Catholic Relief Services (CRS) continues to attract customers as cups of Robusta coffee are available at an affordable price. With its small vehicle that collects coffee farmers’ produce in uphill areas, Kape Maramag has been able to provide assistance with the assurance of transport facility farmers could ill afford, Ms. Galendez related. The lack of an affordable transport system that could deliver the green coffee beans to local traders was one factor that had earlier discouraged coffee growers from pursuing their business. In addition, the road network has posed as an age-old problem among coffee farmers as these are still not developed by the local government. Dirt road that gets impassable and treacherous during rainy season continues to be a major stumbling block for small coffee producers in this region. Thus, even with all the technical and capacity-building support afforded by the Department of Agriculture and other line agencies of government in the municipality, Kape Maramag is still facing tough times even as it has been forward-looking with more expansion of its coffee areas and business operations. Moreover, with the continuous support from the RICFM members and its farmer-suppliers that has over 300-hectares planted to coffee, the growth of Kape Maramag is already assured in the coming years. It has been working for the aspiration of getting into exporting coffee in the not so distant future. 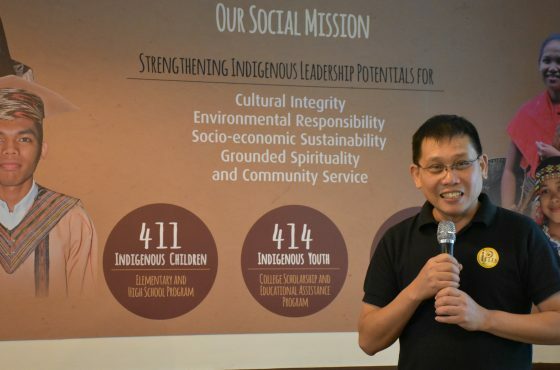 For this year though, Kape Maramag has secured financial support from Peace and Equity Foundation (PEF) for “working capital, capacity building, and product packaging improvement. Its track record of financial stability for the past three (3) years from 2014 to 2016 and its growing assets which have reached over two (2) million already owing to the increase in income that tripled over the years have assured PEF and partner communities of its potentials.